So I’m back as well after that rather long hiatus, and I won’t lie to you chaps, in the time since I left things in popular culture have gotten rather dire. Uninhibited by our constant podcasts about how he sucked, J.J Abrams has managed to put out a trailer to Star Wars VII. Now I know this is what I get for taking a sabbatical but don’t worry, I'm dedicated to fixing this problem, together every few weeks we will work through the schlock that JJ is producing with Star Wars and Star Trek in the hope of shutting him back in the Pandora’s Box he loves so much. Now without further ado welcome to The Abrams Patrol. Gabe No! 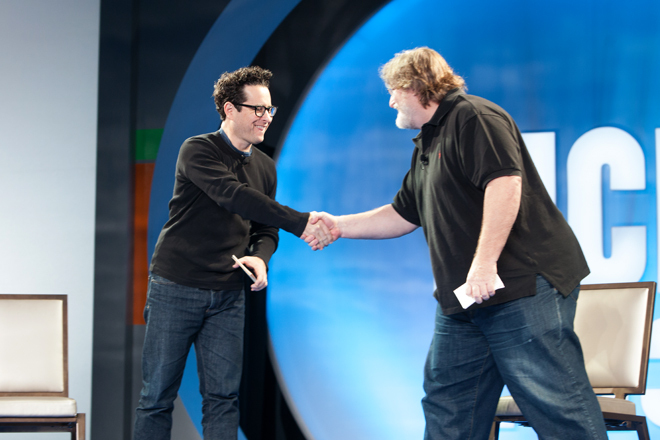 Get away from that man, Half Life is too good for him.